Activists who support safe injection sites hung banners in a Maine city to advocate for the creation of safe places for people to inject drugs under medical supervision. The advocates hung the banners on an interstate overpass and a downtown parking garage in Portland on Friday. Safe injection sites are illegal under federal law, but people who argue in their favor say they save lives and reduce the spread of disease. The Portland Overdose Prevention Site group has between 10 and 20 members. One of them, Lizzy Handschy of Portland, tells the Portland Press Herald they were sending a message that "health care is a constant struggle for people who use drugs'' and the site would help. 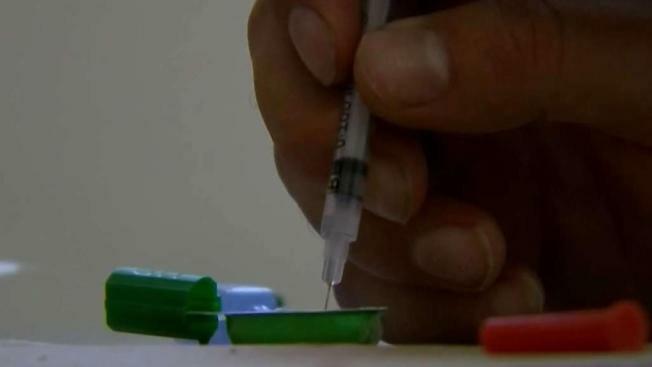 There were 180 overdose deaths in Maine through June 30, a slight decrease.